18 photos taken by Les Tindall at this comparatively short-lived 2 foot gauge railway (1972 - 1990). 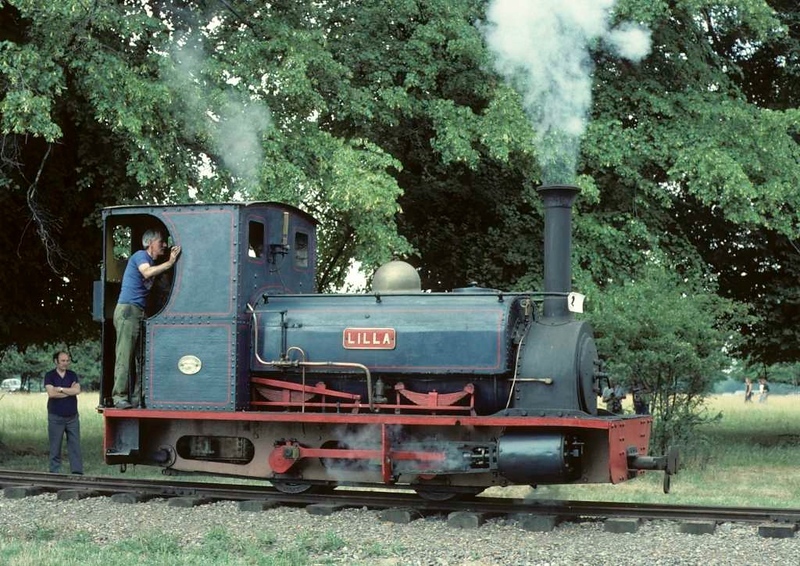 Lilla, Knebworth Park & Wintergreen Railway, 25 July 1976 2. Steaming back towards the shed. Photo by Les Tindall.